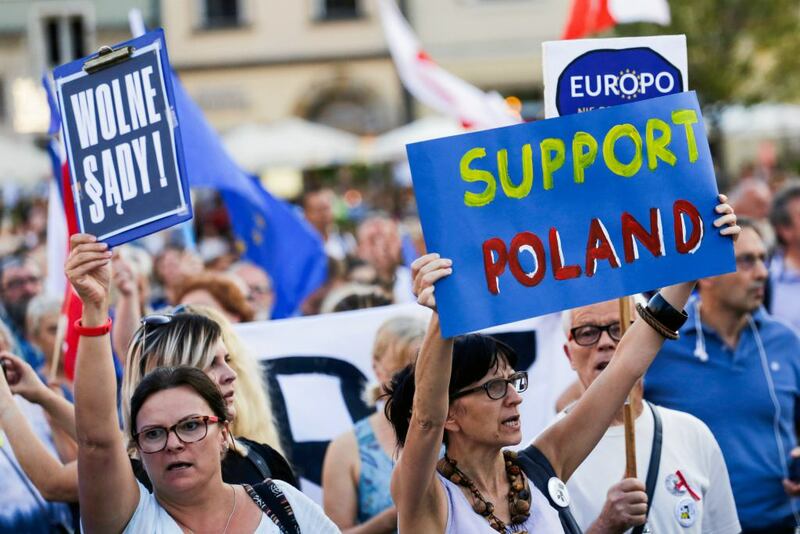 Two thirds of the Poles who do not support Law and Justice party (PiS) believe that we have witnessed an unacceptable attempt against the nation’s judiciary; three quarters think that the Court of Justice of the European Union does have the right to stop the “judiciary reform”. The PiS electorate’s views are quite reverse though: two thirds approve of the reforms, three quarters are against the EU’s intervention. Yet even among Kaczyński’s voters second thoughts are on the rise. As the latest IPSOS poll for OKO.press reveals, it seems that PiS has lost the propaganda “battle for courts”. We asked the very same question through an IPSOS poll already in April 2017. 16 months have passed since then, during which PiS, step by step, was taking over the judiciary, while the government, along with its subordinate media, has been constantly trying to convince the public that – as Prime Minister Morawiecki has put it – “[Justice] Minister Ziobro’s reform is good, it promotes judicial autonomy. Decreases it?! It’s just stories that you’re telling” – and so far there has been no effect. Half of the respondents (51%) were against the “reform” then and just as many (49%) are still speaking out against it today, while the number of its proponents has slightly decreased (from 39% to 35%). There has been a sharp drop in support for the “judiciary reform” among the PiS electorate: it used to be favoured by 74 percent, now it stands at 62. Another 22 percent do not know what to think of their government’s actions. 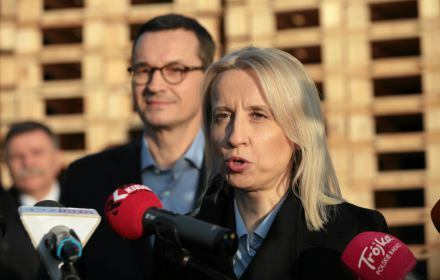 The authorities have also failed to convince Poles that the European Union should stay away from Law and Justice’s “reforms”, for it has no reason, nor any legitimation to impose its will on the “sovereign nation” and its party. 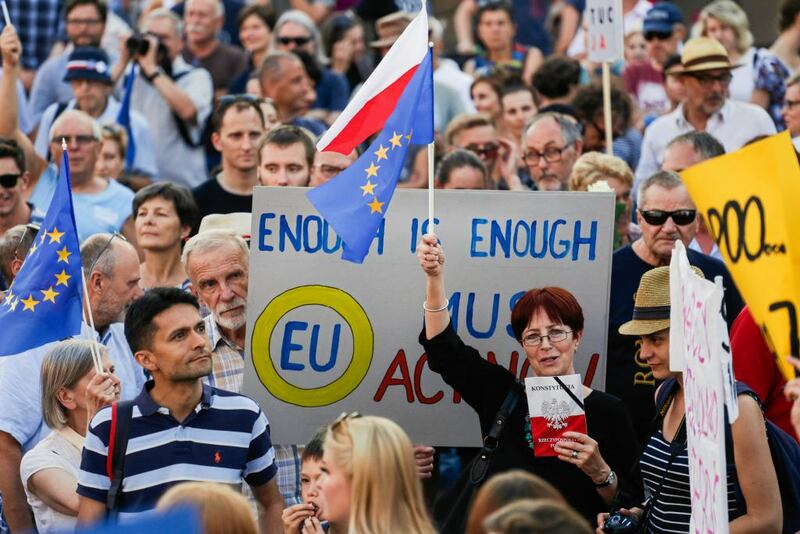 54 percent of Poles agree that the Court of Justice of the European Union is entitled to stop Law and Justice’s judiciary reform if it concludes that the EU rules have been violated; 41 percent are against. 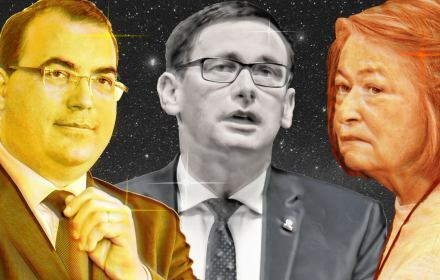 In this case, the PiS voters have shown more discipline and as many as 77 percent of them have expressed the view that the Court of Justice of the EU has no power to stop the “judiciary reforms”. However, the responses of the Poles who would not vote for Kaczyński are extremely pro-European: as many as 73 percent believe that the Court of Justice does hold the right to halt the “judiciary reform”. Is the Court of Justice of the European Union entitled to stop Law and Justice's judiciary reform if it concludes that the EU rules have been violated? 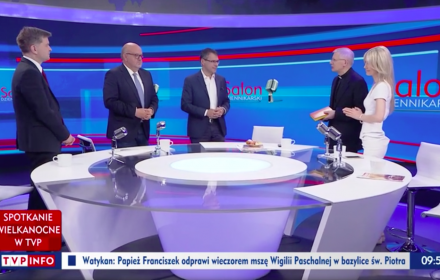 when it comes to the “battle for courts”, Poles generally seem to share the opposition’s and European institutions’ views more often than those of the authorities. It is almost exclusively the PiS electorate that shares the PiS narrative, and even there the opinions fluctuate more than usual. 16 percent of Law and Justice (PiS). The differences are clearly visible also in specific socioeconomic groups. There are similar dependencies for both questions, we will illustrate them with the example of the question about the attempt against the judiciary. The age profile here resembles one encountered in numerous other surveys: violation of democratic rules is accepted by the youngest Poles (more often supporters of Kukiz’15 than PiS), but they grow out of that tendency quite quickly. On the other hand, approval for PiS policy appears to reemerge among the oldest Poles. The education level profile is just as clear: those better educated prove more sensitive to violation of law and more often prone to approve of the Court of Justice of the EU’s intervention. Even in rural areas, where there is generally more followers of the PiS narrative, the view that PiS policy is an attempt against the rule of law (43 percent) outweighs the argument about the “judicial caste” (37 percent), while as many as 52 percent believe that the Court of Justice of the EU has the right to stop the “judiciary reforms” (41 percent oppose this view). In major cities the approval for such an intervention reaches 57 percent. It is only among the poorest group (with net income below 1500 zł [~ €350]) that the PiS narrative has slightly more proponents. 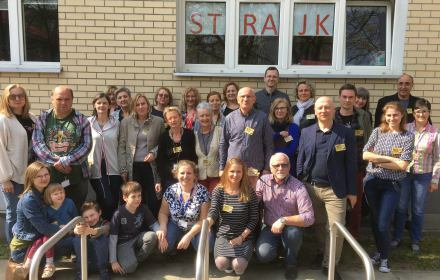 OKO.press is a non-profit, investigative journalism and fact-checking project created to preserve freedom of speech and secure availability of information in Poland. We investigate and evaluate statements made by politicians. We fight for access to public information. We publish our own analyses. We carry out our own opinion polls. We are a first in Poland to use a safe drop-box called Sygnał.